Interactive installation which transforms movement in the room into a soothing projection. 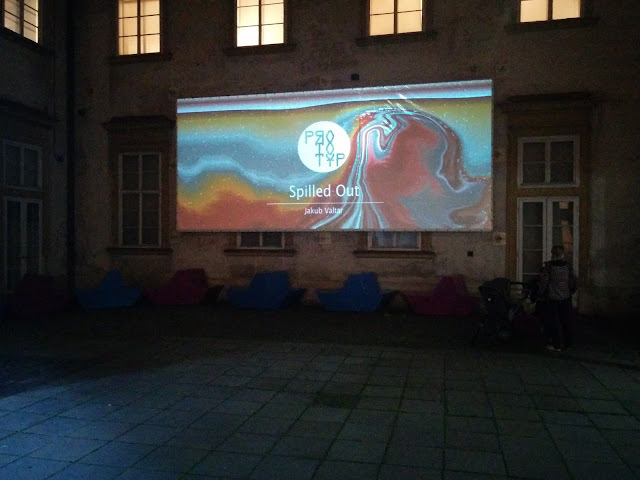 Spilled Out visualizes the flow of people in the entrance hall as a flow of colorful liquids is projected on the wall. It's an artwork dynamically created from a real world input. It is not intended to be interacted with directly in the first place. Instead of interacting with the installation one on one, visitors would rather observe it as a different representation of a collective structure they are part of (the crowd). I decided that the look & feel should be somewhere between thick paint, sediment layers and nebula. 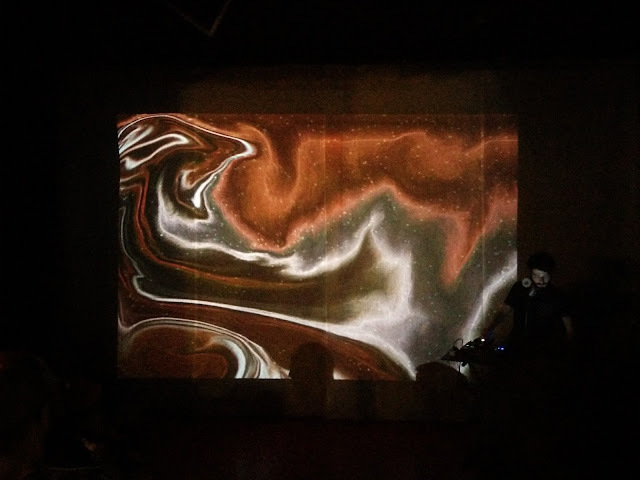 I used photos of stones to create a sequence of colors which are one by one entering the screen from the top. 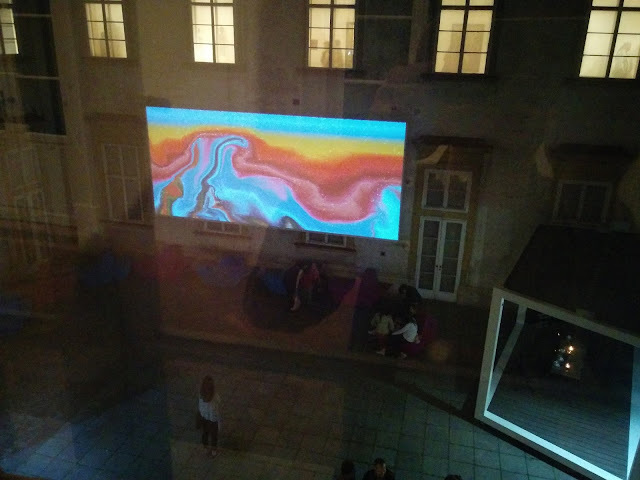 The installation was also exhibited outdoors during the Brno Museum Night 2015.